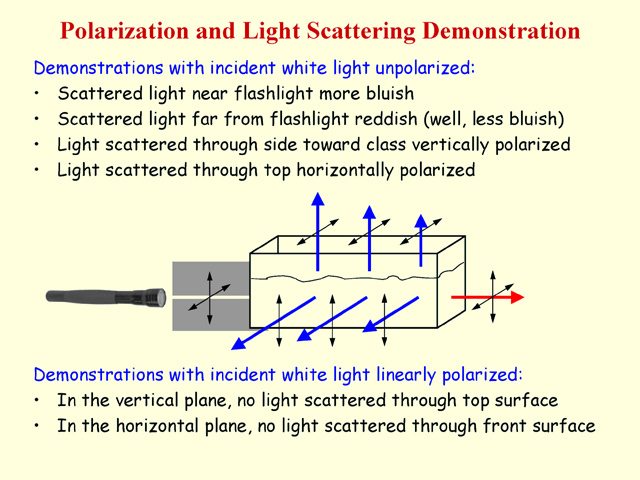 Description: This demonstration shows that scattering of unpolarized white light becomes polarized. Fill the tank up with water. Add in a little powdered milk. Mix it together. 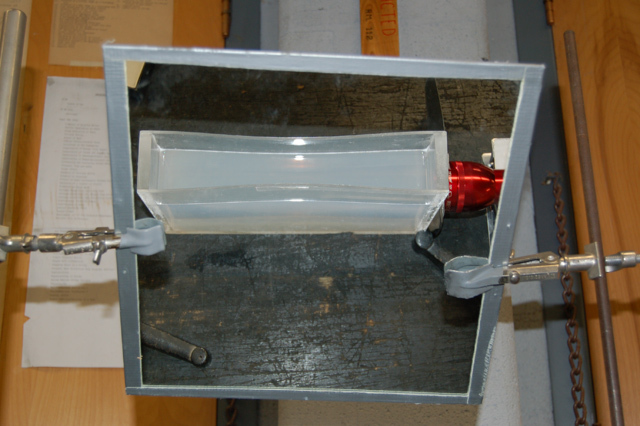 Place the mirror over the top of the container so the class will be able to see the top of the tank. Place the flashligh on a jack stand and aim it at the side of the tank (see picture). Turn the flashlight on with no polarizer between the flashlight and tank. Explain that the scattered light is polarized. The light comming from the top is horizontally polarized. You can show them this by placing the polarizer on top of the tank and turning it to block the horizontally polarized light. The light comming from the side toward the class is vertically polarized. You can show them this by placing the polarizer in front of the side and turning it to block the vertically polarized light. Insert the polarizer in between the flashlight and the tank. 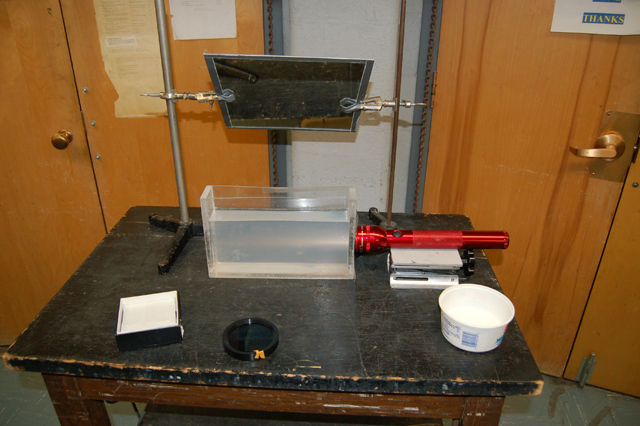 With the polarizer blocking vertically polarized light, no light is scattered from the top of the tank. 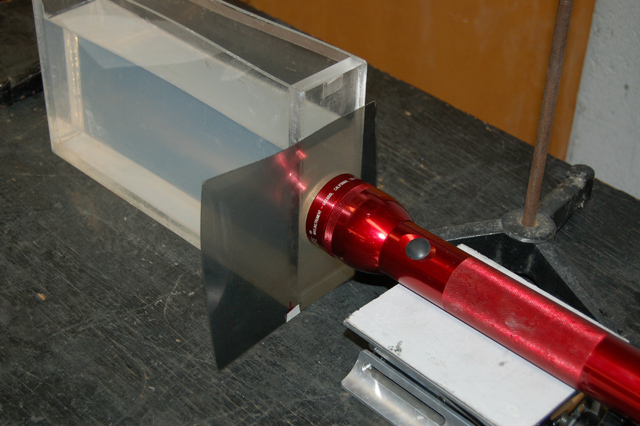 With the polarizer blocking horizontally polarized light, no light is scattered from the side of the tank.